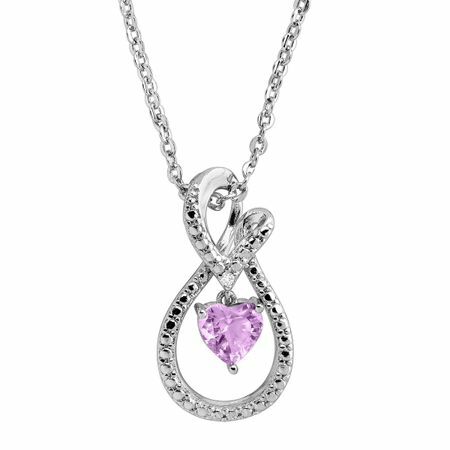 This Valentine's Day, nothing will speak to her heart more than this romantic infinity loop pendant. A 3/8 ct heart-cut natural amethyst is suspended from a sterling silver infinity loop setting and finished with a sparkling round-cut diamond accent. She’s sure to smile throughout the day with her new favorite necklace. Pendant measures 3/4 by 7/16 inches. Comes with an 18-inch cable chain and spring ring clasp.